Pioneers in the industry, we offer stainless steel bus stops shelter, ss bus shelter, stainless steel bus shelter and stainless steel q bus shelter from India. Stainless Steel Bus Stop Shelter We, Keddy Concept. is one of the famous manufacturers and suppliers of a Stainless Steel Bus Stop Shelter. In addition to the proffered product range, we are engaged in presenting services of MS Fabrications and Structural Works. Since our inception, we have been determined to offer excellent quality products and services in the business. 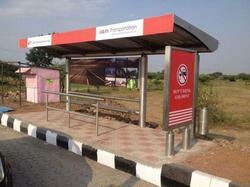 We are leading Manufacturer of Bus shelter in India.We are a best quality of MS Bus Shelters to our clients. Our wide range is used in construction, stainless Steel Bus Stop Shelter offered are made available by us in different design finish options so as to suit the usage requirements in particular areas. Made available in corrosion resistant coating support. We manufacture the qualitative range of PCMC Stainless Steel Bus Shelter. These stainless steel bus stops are fabricated as per industrial quality norms of international standards. Some salient features of our assortment include complete corrosion resistance, lightweight, sturdy construction and ease of installation. These shelters can also be designed as per customers’ specifications. 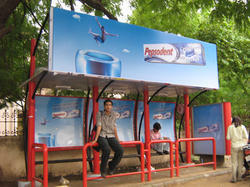 Our organization is engrossed in offering a comprehensive range of bus oueue shelters to the clients. These products are suitable for catering to the needs of sheltering and promotional applications. Furthermore, our rich domain expertise has helped us in manufacturing these products as per the specifications of the clients.